How can my school become a ProStart School? Purchase and use ProStart materials in their entirety. The school must be approved by a state restaurant association ProStart Coordinator to implement the ProStart program. Market/implement the work/internship component of the program to students and their parents. 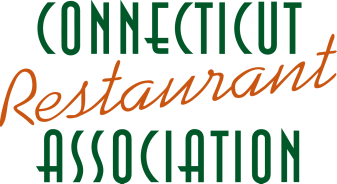 Work with the local state restaurant association to recruit industry partners. Market the ProStart National Certificate of Achievement to students and parents. Administer the National ProStart exams to students who are interested in earning the certificate. Attend educator training for the ProStart program. Provide the local state restaurant association ProStart Coordinator with fall updates to include information on the number of students in program, the number of students working, etc. Provide assistance with long-term tracking/metrics of students who graduate from the ProStart program at your school. Inform students of the scholarship opportunities available to them through the NRAEF. Educator must provide an email address for communication purposes. My school already participates in Skills USA/FCCLA. Can we also do ProStart? ​Yes! ProStart is a curriculum and program. It integrates well with existing FCCLA and Skills USA schools. ​What are the Educator's Responsibilities? Teach the complete course of study. Connect students' work experiences to lesson plans and activities. Gain firsthand experience of foodservice industry (job shadow an industry professional, visit trade shows, etc.). Get to know your students' mentors. Proctor National Restaurant Association Solutions’ ProStart final exams. How are ProStart Lessons prepared? With ProStart, absolutely everything needed for fun, interesting and informative instruction is provided for you. When you adopt the entire ProStart program you’ll receive a complete Teacher’s Resource Kit with easy-to-follow how-tos for implementing the program and establishing outreach activities. Detailed lesson plans for each session will help you prepare with a minimum amount of time and effort. The organizing has been done for you so you can move right into enjoying the ProStart program with your students.